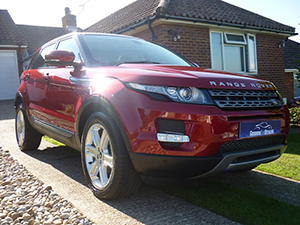 Have you purchased a New Car in Sussex, Kent or Surrey? Invest in our New Car Protection Detailing Service. Do you realise that New Cars are rarely delivered to you from the factory with the quality of paint finish that you would expect?New Car Protection Kent Sussex Surrey. Most are left in open storage awaiting transportation to the dealership. During which time the outside of your vehicle is subject to all the heavy contamination you might expect in a storage compound located in an industrial area. Further damage is then inflicted when your vehicle is carried on an open transporter through the worst of Britain’s motorway weather. The dealer may compound all this by washing it using poor cleaning techniques. 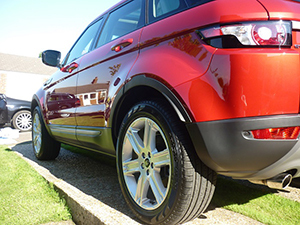 Are you thinking of investing in a Protection Service in Sussex offered by the dealership? These Protection Services cost in the region of £400 and claim to last for at least three years. Many of which use inferior products, are applied incorrectly and without preparing the paintwork. Our New Car Protection starts with a complete multi stage decontamination process. We then use detailing products supplied solely by GTechniq to polish and then seal the paintwork, glass and alloy wheels of your new pride and joy. P1 produces great finishes both by machine and by hand. PSystem removes scratches and swirls safely and quickly without leaving holograms. 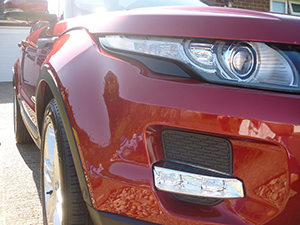 C1 Crystal Lacquer chemically bonds to the paintwork of your car to become the new surface layer of your car giving unrivalled UV protection, dirt repellency, easy clean and swirl resistance. Lasts up to 10 times longer than dealer applied products. Independently tested to outlast other wheel coatings. C5 uses a unique chemical bond to become the functional surface of your alloy wheels making them dirt and brake dust repellent as well as being much easier to clean. A single application lasts up to one year. G1 Clear Vision Smart Glass. As used by the MINI WRC Team. This product lasts for up to two years or 30,000 miles making wet weather driving both safer and less tiring. Keeps windshields cleaner for longer and makes bugs and ice easy to clean off. No smears and wiper blade proof. I can carry out the above Protection process on any new vehicle in Sussex up to the age of 6 months. Above this age additional work to remove any minor swirls from the paintwork will be required. Interior Protection also available across Sussex. Prices from £40. She is looking great, you have done an outstanding job. I’ve done quite a lot of driving this week and the GTechniq coating is amazing, the dirt just doesn’t seem to be sticking at all! Thanks for the work you did to remove the scratches as well, I’m very pleased with the result. We are always available come rain or shine! © GoodwinCarDetailing. All Rights Reserved.